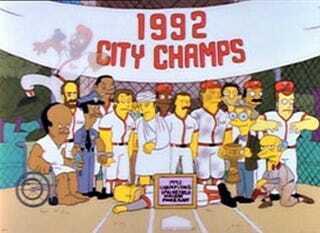 &quot;Homer at the Bat&quot; airs on FXX at 11:30 EDT, which is, like, now. "Homer at the Bat" airs on FXX at 11:30 EDT, which is, like, now. Go read Erik Malinowski's excellent piece on the making of the episode, and consider this your Simpsons open thread.